Five hundred women from across the country are gathering in Washington, D.C. for tonight’s State of Our Union, which offers an alternative vision for our country in which gender and economic justice can overcome forces that seek to divide our nation along fault lines of race and class. Hosted at the National Press Club on Jan. 30 from 8 to 10:30 p.m. Eastern Time, the State of Our Union will be livestreamed at stateofournion.org. White, a leader from Down Home North Carolina, a grassroots group in Appalachia, is one of the evening’s featured speakers. Other speakers and performers include U.S. Congresswoman Pramila Jayapal (D-WA), Alicia Garza, cofounder of #BlackLivesMatter, and Cecile Richards, the president of Planned Parenthood. 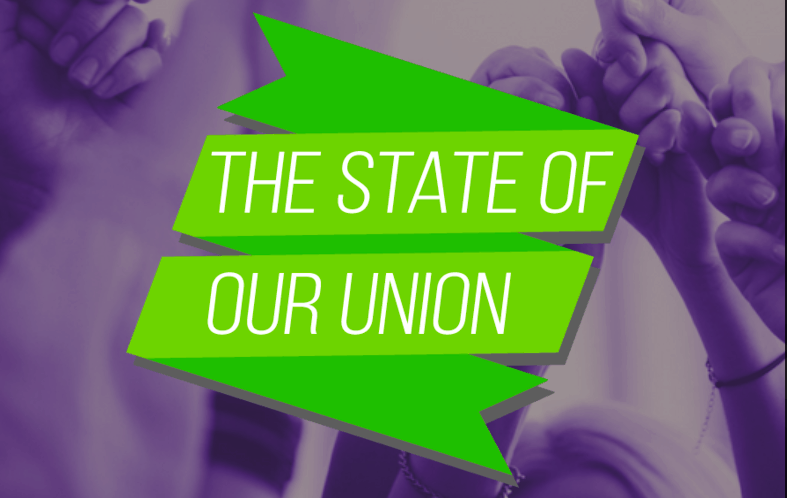 More than fifty groups have come together to create the State of Our Union. DHNC is an affiliate of People’s Action, a national network of grassroots organizations, and she joins women from People’s Action affiliates in nine states at the event. National organizations present at the event include MomsRising, the Alianza Nacional de Campesinas, Color of Change, Women’s March, MoveOn and Girls for Gender Equity / #MeToo. Jayapal, the first Indian-American woman elected to the U.S. House of Representatives, joins other lawmakers including John Lewis and Maxine Waters in refusing to attend the official State of the Union address.